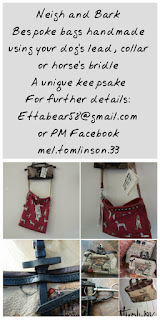 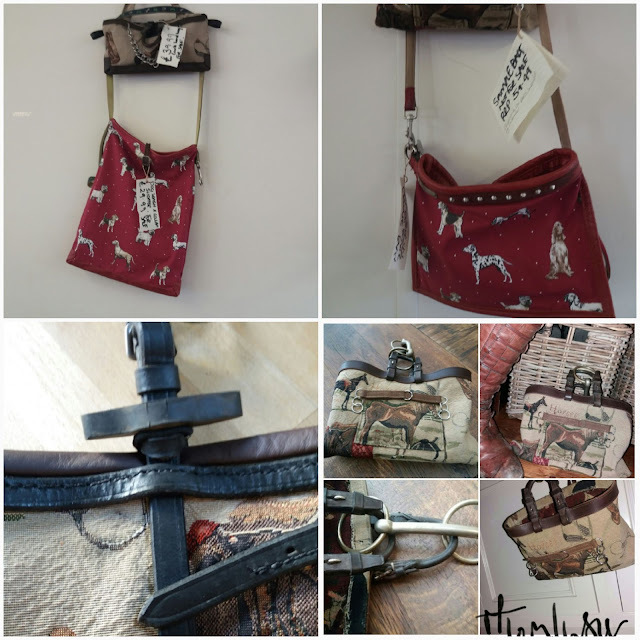 Mel Tomlinson of Neigh and Bark makes bespoke bags incorporating your own horse's tack or dog's collar / lead. 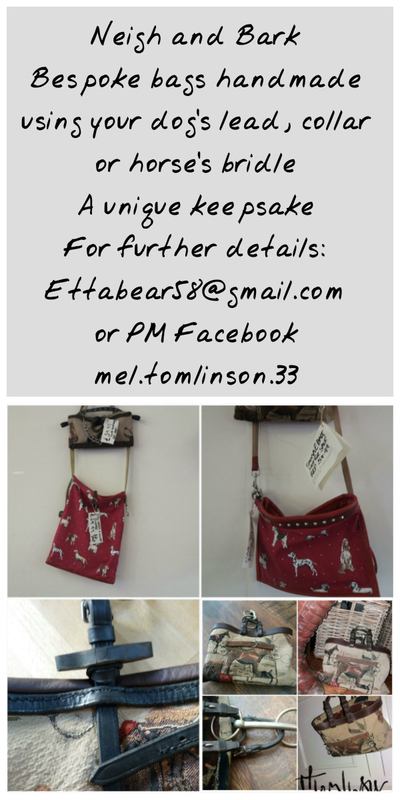 You choose the fabric, style of bag and provide the leather items, bits etc and Mel makes you a unique keepsake. 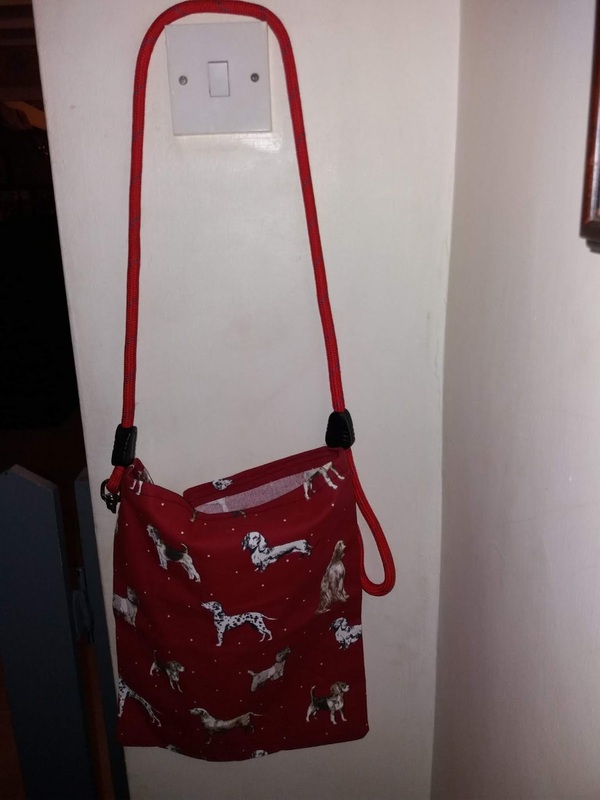 I was inspired to start Neigh and Bark two years ago after losing Molly, my best mate of 25 years, and two of my beloved terriers, Poppy and Ella. I wanted to find a way of using Molly's bridle and Poppy and Ella's collars and leads and this is what I came up with, a lovely and useful keepsake. 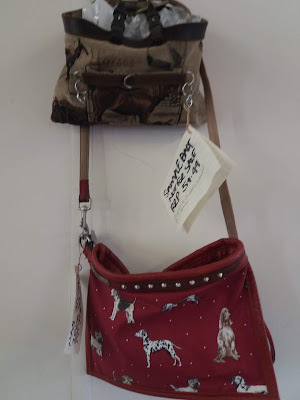 It was when people started asking about my own bags that I realized that others would like to memorialize their companion animals or very special events in this unique way and Neigh and Bark was born.